rokz was born out of a love of gathering with friends and family and often at the heart of those get-togethers was a good cocktail. What we didn’t love was spending our time finding ingredients and mixing drinks instead of sipping them together. We set out to find ways to make shaking up beautiful, tasty cocktails in a snap. Our products are designed to make mixing craft cocktails at home fun, and easy — cocktail sugar and margarita salts add gorgeous garnish to your glass, and our unique line of infusion kits allow you to dabble with a little liquid alchemy to create flavored spirits right in your own kitchen. We use only the best ingredients and have a love for beautiful, usable packaging. 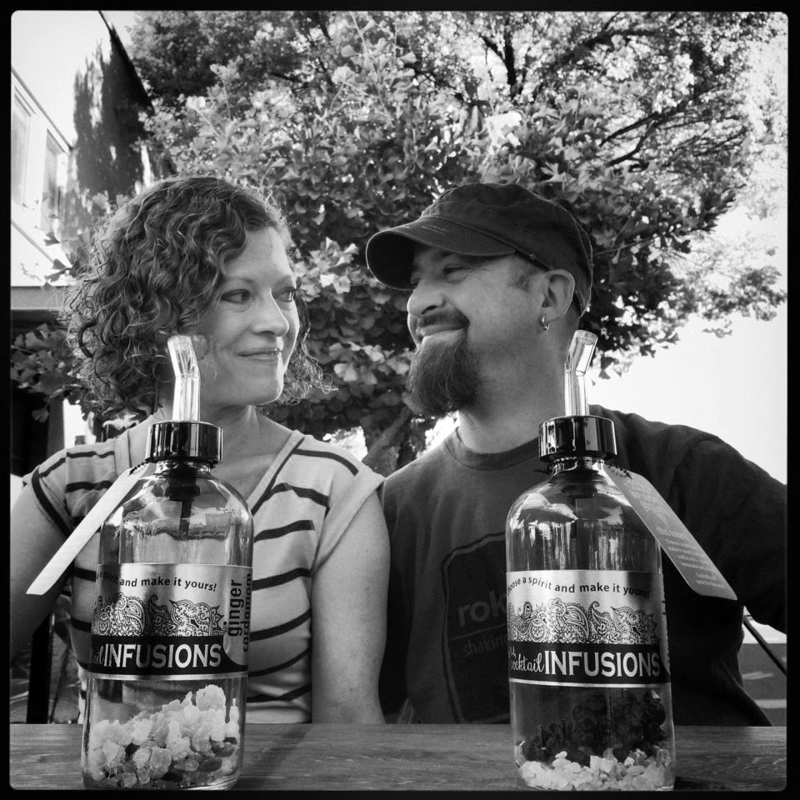 Our Founders – Husband and wife team Terry and Charissa took their love for good ingredients and gatherings from the kitchen to the bar. We were tired of sugar-filled mixers–and sourcing fresh options wasn’t always possible. We set out to develop products that made it easy to make “fancy” cocktails right at home for yourself or a crowd. Finding incredible flavor combinations, often sourced from ingredients in our local area is at the heart of what we do. Today, we have a team of creative alchemists on the hunt for the next amazing cocktail and ways for you to make it in your own kitchen without any fuss. rokz spirit infusions provide a simple and savvy way to take your cocktail to the next level. Each can be matched with a range of spirits – whether you are a vodka, rum, whiskey, wine or even a lemonade drinker, we have a blend for you. We take botanical elements, fruits and spices to create classic and sometimes unexpected flavor combinations that work well with a variety of cocktails and mocktails. The package is as much a part of the products as the ingredients – our bottle and pourer system allow the elements to infuse and remain in the bottle while serving or act as a strainer once the flavor reaches your liking. Each infusion bottle comes with recipes designed to make simple—outstanding cocktails.